Craft beer enthusiasts rejoice—the ninth annual San Diego Beer Week takes place Nov. 3-12, and the number and variety of celebratory events are off the chart. As one of the most established and well-known national beer weeks, this one not only features San Diego County’s 150-plus breweries, but also includes breweries, both large and small, from across the country. Yes, 10 days is longer than a week, but who’s counting? 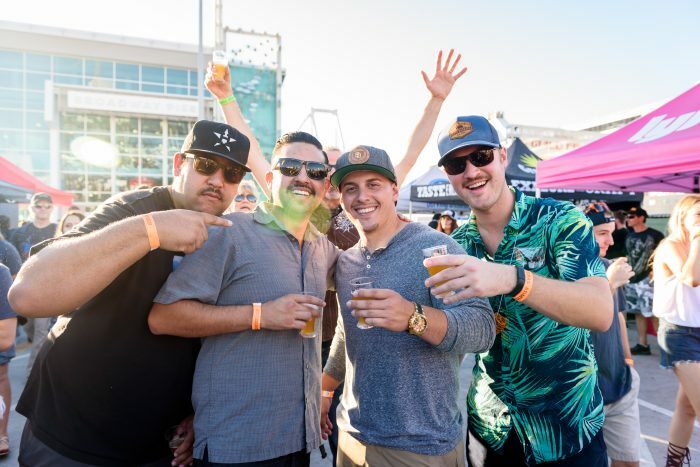 “This is the 10 days of the year where anyone who has anything to do with beer in San Diego is going to be breaking out all the good stuff,” says Mike Shess, San Diego Brewers Guild media buyer and publisher of West Coaster San Diego Beer News. The Guild runs the “week” and organizes the premier bookend events: the VIP Brewer Takeover on Friday, Nov. 3, and The Beer Garden on Sunday, Nov. 12. Friday night’s VIP Brewer Takeover opens the week and leads into Saturday’s San Diego Brewers Guild Festival. The Takeover at Broadway Pier features the region’s award-winning brewers sampling their most rare and special brews—so this is the place to hunt whales. Last year’s opening event attracted more than 1,300 craft beer lovers. The $75 per person ticket includes unlimited beer samples served in a commemorative tasting glass coupled with unlimited food samples from local beer-friendly restaurants. Saturday’s Guild Fest takes place on the San Diego Bay and offers a stellar lineup of breweries, plus music, food and, of course, lots more California sunshine. Ticket costs are $35 to $50, depending on when they are purchased. There’s also a premier access option, which gets patrons in an hour early. A $100 per person ticket includes admission to both the VIP party and the Fest. 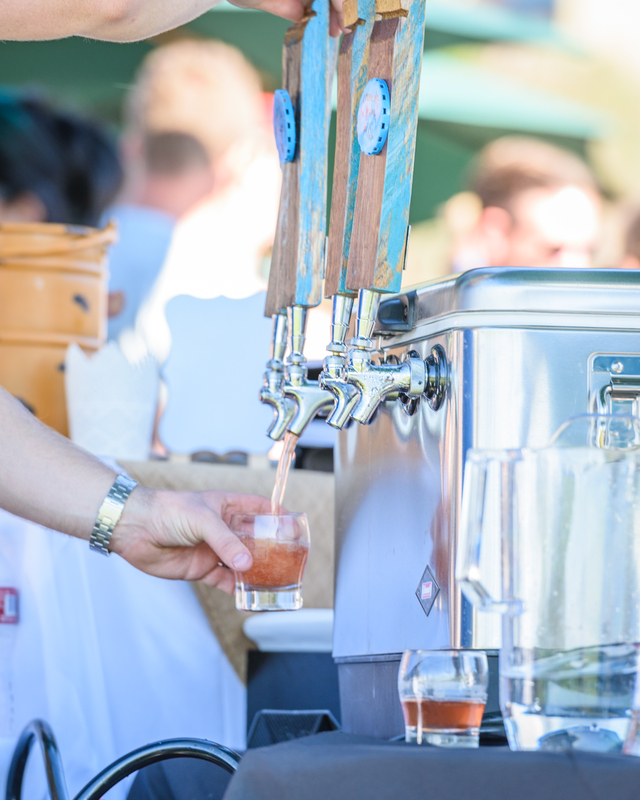 The Beer Garden brings together 28 San Diego breweries and 14 local chefs for curated food and beer pairings with views of the Pacific Ocean. It’s set at The Lodge at Torrey Pines, a Five Diamond resort, and closes out the week on Nov. 12. Tickets are $85 per person, but given the spread of eats and drinks, this seems like a bargain. Per Shess, this event sells out quickly. “Aside from the big events, every proper craft beer bar, every brewery, and every tasting room will be throwing events every day throughout the week,” Shess says. One of Shess’ favorite events from last year’s San Diego Beer Week was Benchmark Beer’s rollout of different versions of the same beer. The brewery created Table Beer, a low-ABV common beer, and then added one distinct ingredient to 14 different versions, from coriander to Brettanomyces. “This was such a great way to tune up your taste buds and learn how just one ingredient can really change a beer,” Shess notes. San Diego has long been an international tourist destination for a variety of reasons—the weather, the zoo, beaches and, of course, great breweries. San Diego Beer Week showcases the latter aspect of this sophisticated city admirably.